Wells-Index produces high quality milling machines, fairly priced, delivered on time. Milling machines are incredibly versatile and are often the originator machine for unique parts, prototypes, and machine repairs which is why every job shop, manufacturer, and metalworking company has at least one milling machine. The customer base for Wells-Index machines is wide - clients include branches of the military to the hobbyist and everyone in between. All knee mills are not created equal. Wells-Index heavy duty industrial milling machines have been produced in Michigan for over 80 years. Their characteristics can be specifically designed to address the varying demands of your customers’ needs. Our knowledgeable engineers are available to assist you and your customer to determine the right model and options for the right use. 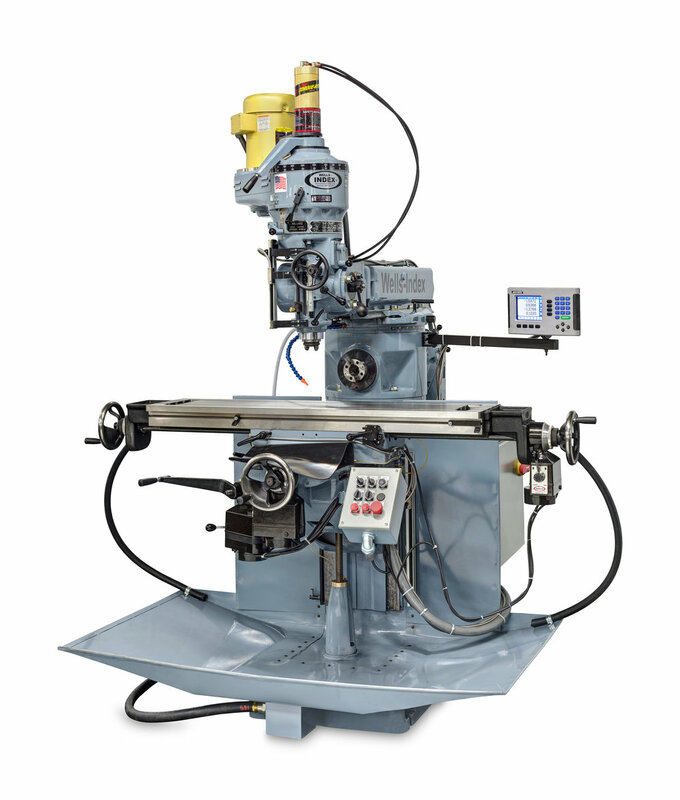 Wells-Index is the last remaining company to produce 100% American Made milling machines. Fill out a contact request form, here. Wells-Index mills have a completely different milling head design than any other milling machine in the world. The Wells-Index milling head is a much more robust and durable design for heavy cutting with most components such as the spindle diameter, bearings, gears, and splines being 40% to 100% larger than its competitors. 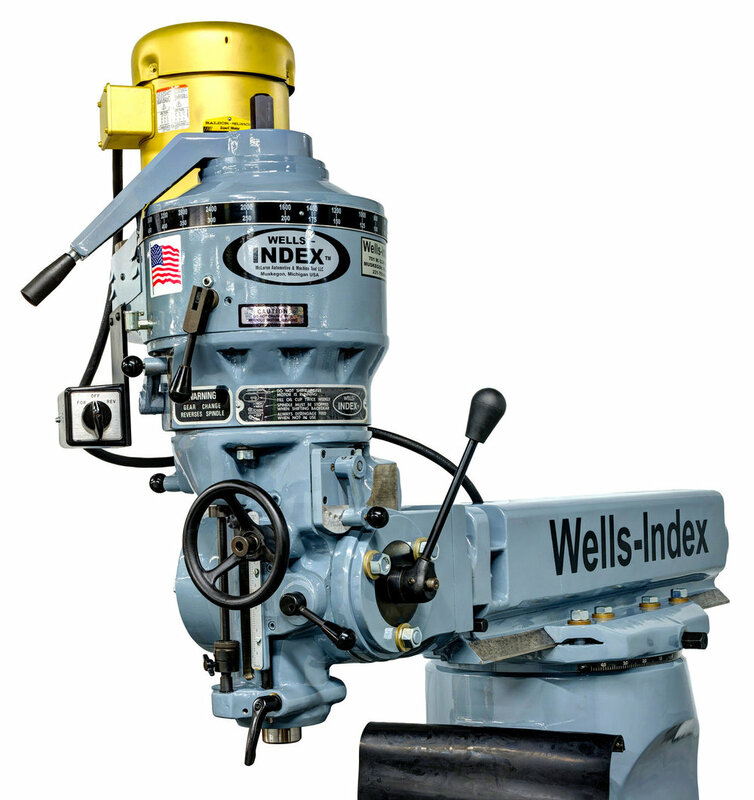 For over 80 years Wells-Index has produced the most robust manual and CNC knee type milling machines delivering the highest accuracy, productivity, and dependability in the USA. We offer more options and customizations than any other milling machine manufacturer. We strive for 100% customer satisfaction and nothing less. The team of experts at Wells-Index are available to all dealers for support and to answer technical questions. Our service team places great emphasis on providing you with fast, simple, professional support.